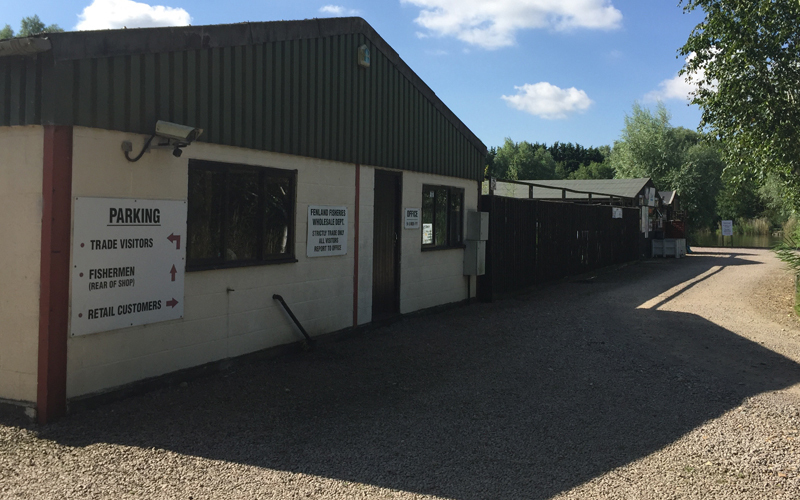 In 2003 we decided to take a small step into the carp restocking market mainly to ensure we had a winter income and provide staff continuity as the aquatics business is primarily seasonal. Our supplier had informed us they had a licence to export carp to the UK and were experiencing some incredible growth rates with their fish. The strain originated in 2000 when 2 carp strains originating in Hungary were crossed with the original Israeli strain DOR-70 resulting in a growth increase of approx. 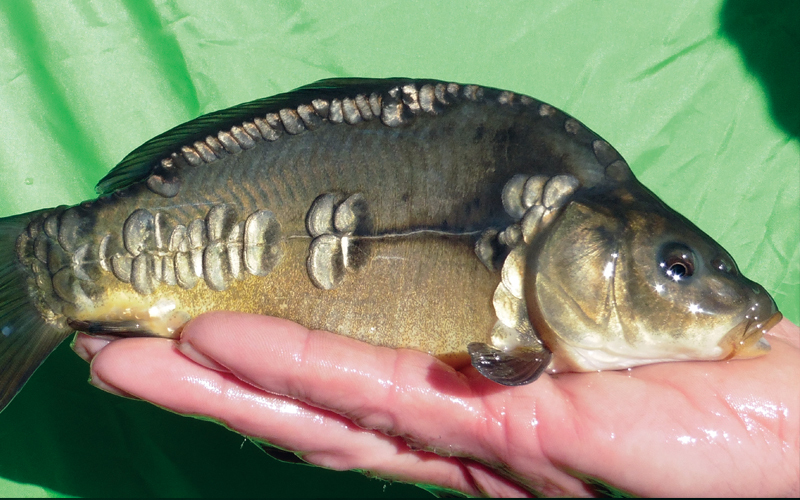 20% over a two-year period..
After securing a couple of 3 to 4 acre reservoirs we imported our first batch of 250 2 to 3lb carp and developed a feeding programme. 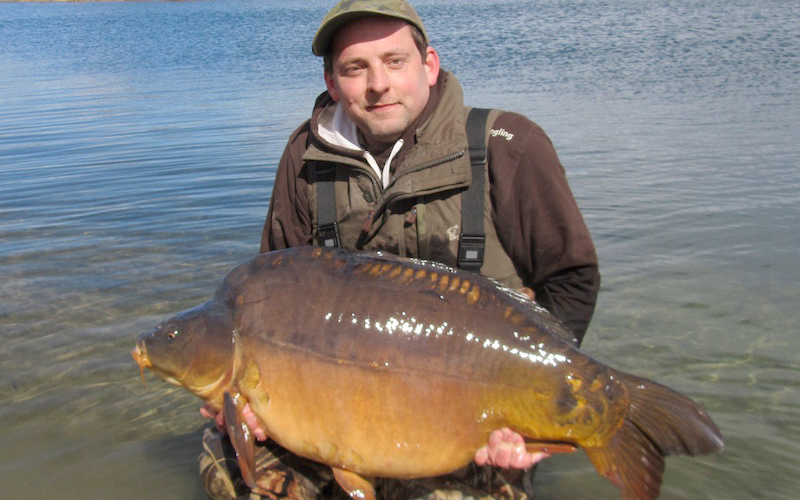 2 years later the harvest revealed fish to 16lb with an average weight of 14lb, an incredible success. Over the following decade we have continued importing mostly 2 to 3lb fish and growing on in our network of local secured reservoirs for between 2 and 4 years producing fish between 12 and 30lb+ for the restocking market. We have to date supplied over 100 fisheries, with several of our larger customers purchasing stock every year. The most successful stockings being for fish between 12 to 20lb which we have found adapt to their new surroundings very quickly and continue good growth. Fish above 20lb generally seem to maintain weight for a period before continuing their growth. The Meadows Holme Fen Fishery was a newly dug 27-acre gravel pit excavated between 2001 to 2009 with a few (maybe 15 to 20) Carp which had escaped/moved from an adjacent pit and minimal silvers due to cormorant predation. The pit laid dormant slowly filling until 2011 when it was acquired to develop a big fish, low stocked carp fishery. 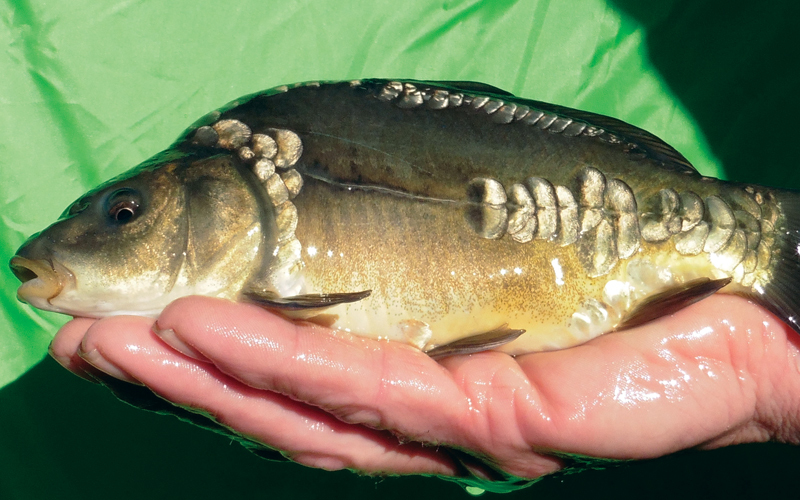 170 Premium carp were stocked into the lake as an initial stocking. 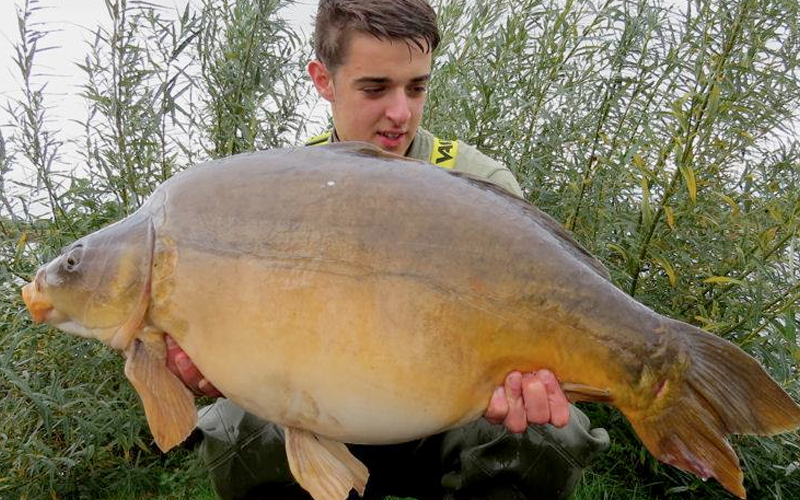 155 of these fish were under 23lb, the majority being 14lb to 20lb, with just 15 fish over 23lb to 39lb. The fish were left to acclimatise for a number of years with two on demand feeders, an incredible amount of room, an abundant natural larder compared to biomass and no fishing pressure. Two years later the lake was test fished for a period of four months, selected anglers were provided with scanners as all fish were micro chipped so detailed health and weight growth statistics could be collected. At the end of the period 80 different fish over 30lb had been caught with 20 different 40lb+ and a then lake record of 54lb. The Meadows is now open to fishing 6 days a week and the stock has continued to thrive even under fishing pressure, most of the original fish are over 30lb with 40 fish over 40lb, several over 50lb and a mind blowing 6 fish have surpassed 60lb with Captain Jack being the lake record at 69lb 10oz. quality and growth rate as the highly successful original Dor-70 cross. We currently have 5000 C2 & C3 UK bred Premium carp in our production cycle, selected from a spawning of over 100, 000 fry from 2014/5. Plans are in place to produce several hundred thousand fry annually selecting only the best at 2-5” for growing on. Fry are initially placed into small purpose built mud ponds for the first 4 months of their life, normally at the beginning of May, thriving on the natural bio organisms and a supplement of crumb feed. At the end of August when they will be between 2-5” in size they are harvested and the best 20,000 selected for growing on. The majority will be 3-4” however we expect around 10-15% of shooters which could reach 5”. These fish are then transferred to our indoor growing on facility for the winter and kept at a constant temperature of 18 deg The fish will be graded a further 2 or 3 times during this period and given plenty of room to develop to their maximum growth. The final grading of this stage will take place in the spring with the best 5000 fish selected for further growing on or sale, the remainder will be sold to the commercial match fisheries fisheries where size is not so critical. Of the 5000 selected fish, 3000 of these which will be between 2-4lb will go to our satellite growing on ponds, the remainder will be sold as C2’s as they have had 12 month growing the same as C2’s grown completely outside. We have in the region of 18 acres of growing on ponds with a further 12 acres overflow to be used as required, ensuring the fish have plenty of room for growth. Grading will continue on a yearly basis, for example of the 3000 C2’s, approx. 1500 will be sold as C3’s the following year at 4 – 5.5lb. Next year we will harvest the fish again cropping for that years C4’s at approx. 9-12lb with the final 500 being grown on for cropping at C5 and C6. We produce the UK bred Dor-70 to hatch an approx. 70% female to 30% male ratio with approx. 20% being deep bodied Commons, 10% heavily scaled and 70% lightly scaled In the main around 80% of our C4’s and above go on to make 35lb plus fish given the correct conditions. See Holme Fen Fishery case study above, this has been proven many times over.